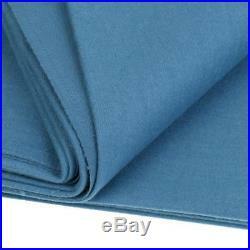 PNS988 Worsted Wool Snooker Pool Billiard Table Cloth 9ft Table Light Blue. 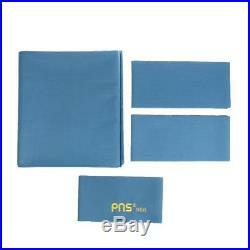 Worsted wool billiards cloths are great choice of pool players around the world. Their nap-free, precision threaded weaves create the perfect playing surface and assure a faster and more accurate roll. Not only the tight weave ensure better playability, but also makes the cloth naturally spill resistant. 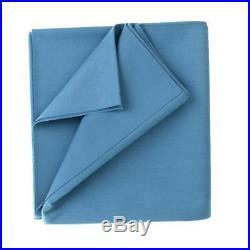 Perfect for 9ft table; 1 piece bed cloth and 6 pieces cushion cloth strips. Made of 85% Merino Wool and 15% Nylon. 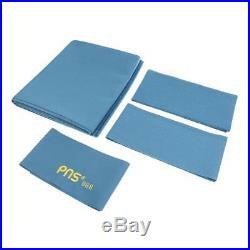 Model: PNS988 - Material: 85% Merino Wool + 15% Nylon - Bed Cloth Size(L x W): approx. 278 x 155 cm / 109 x 61 inch - Cushion Strip Length: approx. 138 - 145cm / 54.3 - 57.1 inch; Width: approx. Please check the package contents as following. 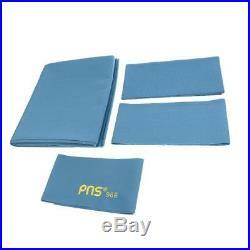 1 Piece Bed Cloth 6 Pieces Cushion Strips. Please verify your address during checkout. We are not responsible for any wrong or undeliverable addresses. People always bought together with. The item "PNS988 Worsted Wool Snooker Pool Billiard Table Cloth 9ft Table Light Blue" is in sale since Tuesday, August 1, 2017. 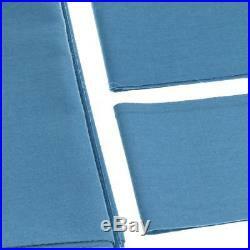 This item is in the category "Sporting Goods\Snooker & Pool\Table Covers".